Writing reference, poetry and the paranormal. A variety of books in a variety of genres and on a variety of subjects can be found here! Newest books appear at the top. Scroll down for more choices. Truth is a bitter pill to swallow. Most people prefer to live in ignorance, believe their own lies or follow the blind masses. We numb ourselves through addiction and self-sabotage. The poems in this book capture our attempts to escape reality, as well as our attempts to keep truth alive. When we enter the dream world, anything can happen. 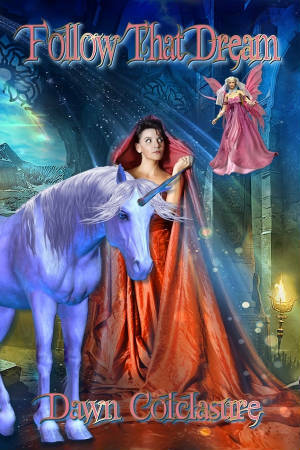 We visit amazing worlds, visit with lost loved ones, indulge in fantasies, and live another life. Dreams have captured the imagination and inspired us for centuries, and the great mystery of what dreams are pull us to them even more. 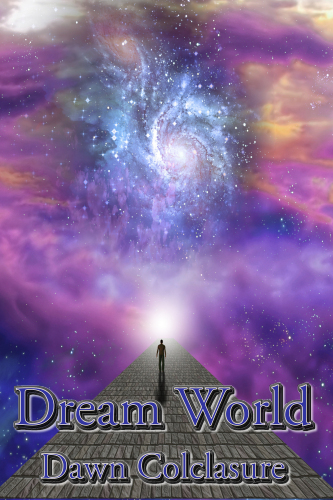 From the fantastic to the mundane, dreams are a great escape, as well as a source of comfort, pleasure, excitement and wonder. A house never forgets. And for Maureen Boyd, neither does a vengeful ghost lurking within what she hopes to be a dream home for her new husband and children. After her son’s house-flipping company loses out on a deal, Maureen’s husband buys the house, and Maureen hopes that living closer to her son will help salvage their distant relationship. But living in a haunted house brings up dark family secrets her husband would rather keep buried, plus opening an old wound that Maureen’s long-distant relative could never forgive. Grief changes people and it takes people through a myriad of emotions, feelings and experiences. From the angst of losing a loved one to the helplessness, shock, confusion and sadness of loss, grief can have lasting emotional effects that can turn a person's world inside out and upside down. 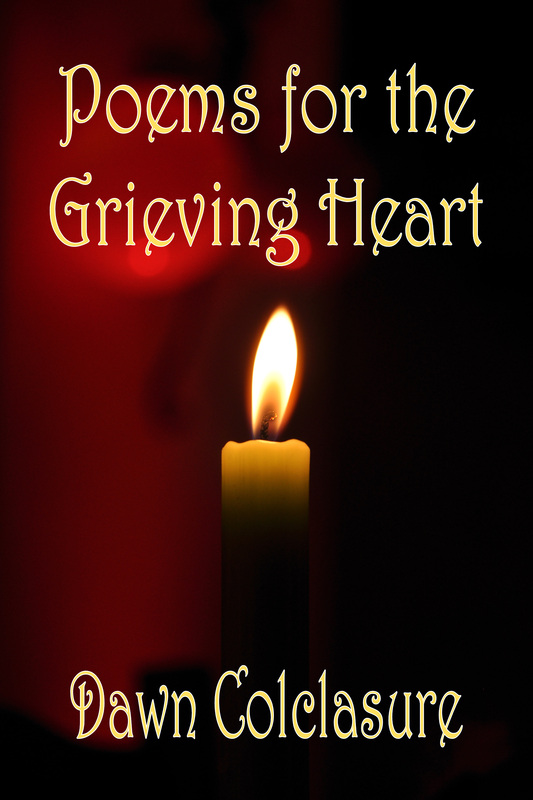 The poems in this book are a reflection of the grieving experience and put into words our attempts to honor and remember those we have lost. Want to repair bad credit? Start saving money? Find out how to live frugally without making sacrifices? This ebook will give you the strategies to make it all happen. Fabulously Frugal will help you solve your money problem and get you started on building up your savings! Learn strategies for saving money for emergencies, how to spend less on home repairs or at the doctor’s office, be a savvy shopper who knows how to find the best deals, and afford everyday costs like transportation, school expenses and utilities. Plus, money-saving experts share their secrets so you can keep more cash in your pocket! 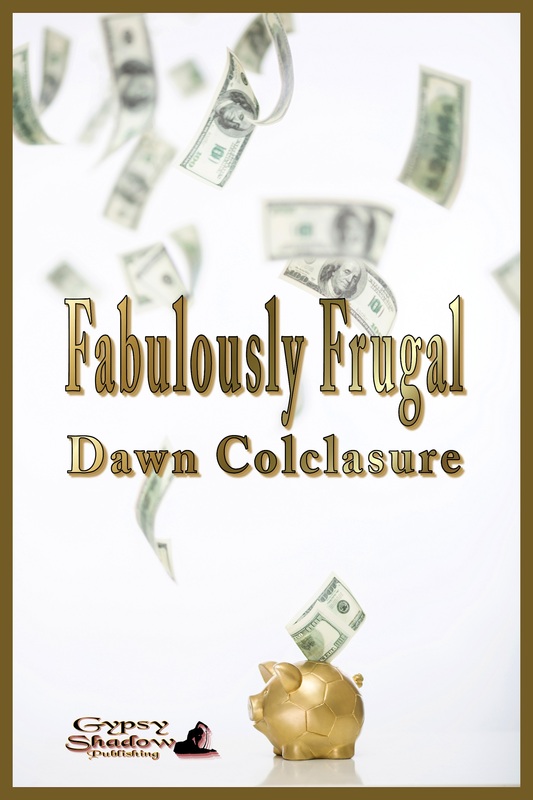 Fabulously Frugal will help you tackle your financial issues and share how to enjoy more in life for less! The seasons of the year can bring so much happiness, joy and magic into our lives. From the snowy hills of winter to the falling leaves of autumn, the new life of spring and lazy days of summer, the seasons are times for enjoyment and gratitude. 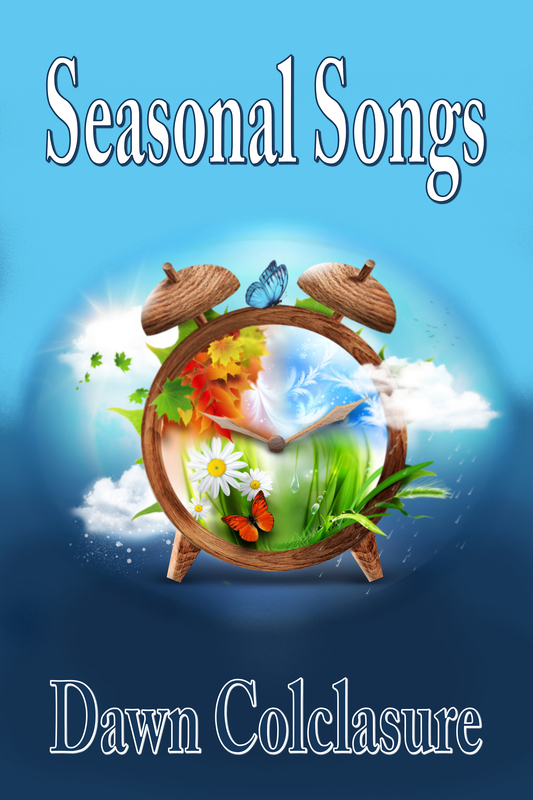 Seasonal Songs celebrates the seasons with poems that will bring back happy memories and embrace the beauty of the changing times of the year. 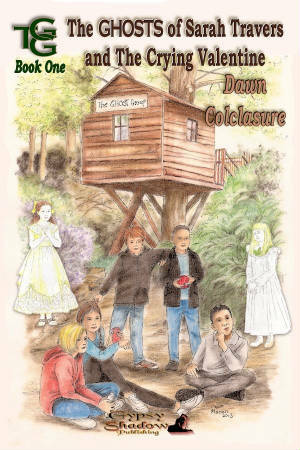 This book is mainly written for children but can be enjoyed by readers of all ages. 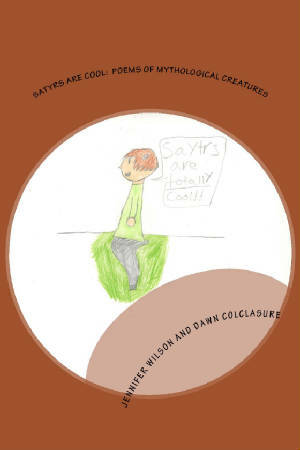 It includes color illustrations by my children, Jennifer and Jesse Wilson. Writing from home can be a challenge when you’ve got one or more kids tugging at your sleeve for attention. There are days it seems like you can’t get ANY writing done and looming deadlines mean sleepless nights and frazzled nerves. Take heart: Writing parents who have figured out this writing parent thing share their stories and the lessons they’ve learned in trying to find balance between writing and parenting. 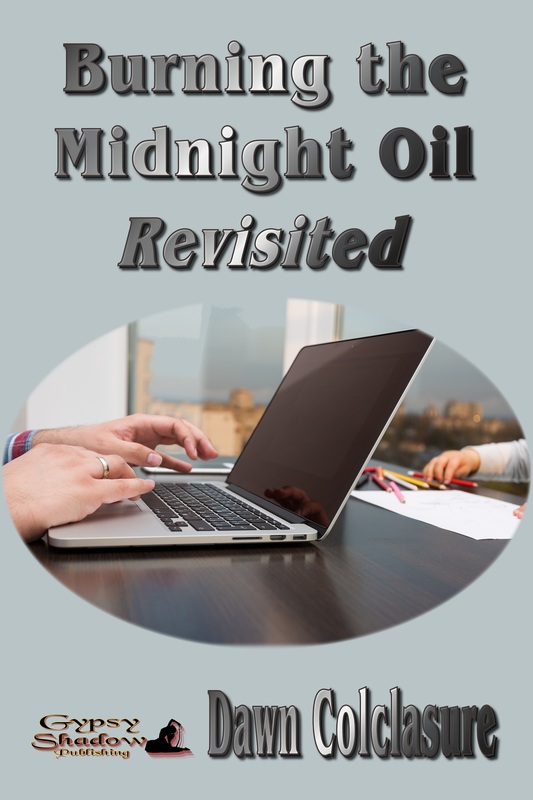 If you’re a freelance writer, commercial writer, author or journalist trying to figure out how to keep your writing career going strong and be a capable parent at the same time, check out Burning the Midnight Oil Revisited to get some tips and techniques on how to make it happen for you! Simon is a little boy who finds a starving bird in the park. He shares his food with the bird and later notices the bird closely keeping an eye on him every day. What Simon doesn’t know is that the bird had been with him all his life, watching over him wherever he went. 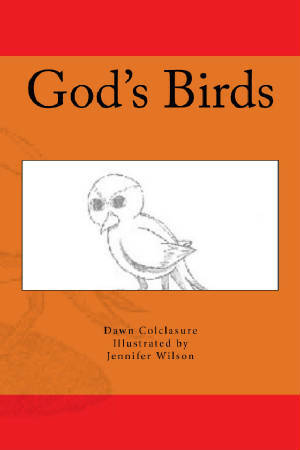 Simon eventually learns that this is one of God's very special birds. For some people, home is the wide open road, where they feel the call to travel or explore the road not taken. For these wandering souls, their life is about journeying from one place to another and seeing the world for all of its beauty. 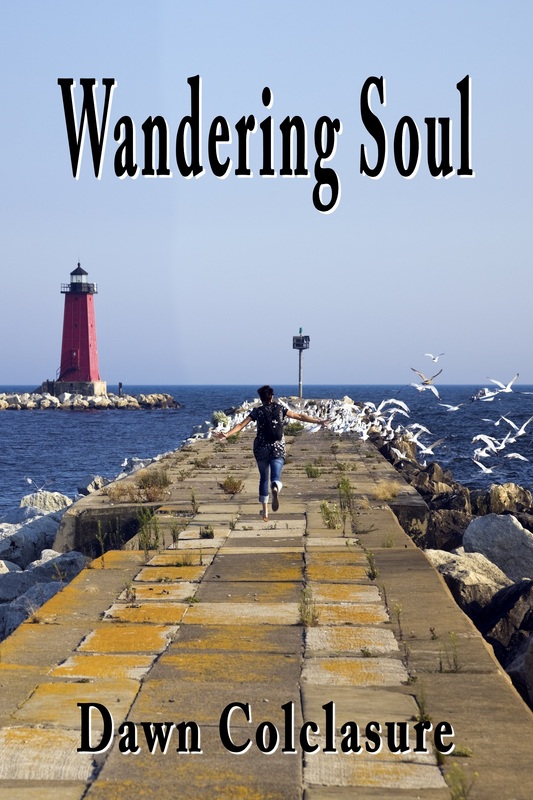 Wandering Soul is a collection of poems capturing that vagabond spirit and the experience of travel. The poems in this book are meant for anyone who answers the call of the road, or who yearns to explore unknown territory. Laura Williams takes a chance on Carl Gunderson, and it’s the most fatal mistake of her life. Carl is convinced Laura is the wife that he murdered – or thought he murdered. Apparently, he hadn’t left her for dead after all. Now she’s back in his life – and this time, he will make sure he finishes her off for good. Yesterday's words are like butterflies on the wind. The moments we capture with words kept within our hearts. The good moments, the bad moments, the sad moments and the moments that touch the soul. The little things that we see, hear and experience that make us think, Yes, life is like that. These snapshots from life have been captured into verse. There’s a ghost town then there’s a "ghost" town! 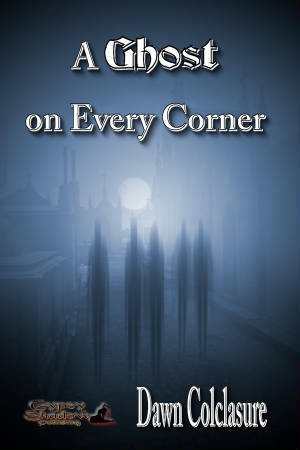 A Ghost on Every Corner is a collection of stories from paranormal investigators who have done investigations in some of America’s most haunted cities. Read about the ghost haunting a restaurant in Galena, Illinois, or about a Gettysburg Battlefield ghost who follows an investigator home! There’s also Marilyn Monroe’s ghost haunting the famous Roosevelt Hotel, a ghost violently attacking an investigator at the Sallie House and the ghost of Edgar Allan Poe’s adoptive father angrily pushing an investigator down the stairs! You’ll also get to read historical (as well as ghostly!) information about places such as The Alamo, Myrtles Plantation and the famous BirdCage Theatre. Walk with investigators located across the country as they gather evidence about ghosts and go where no other would dare to tread! Check out this review of A Ghost on Every Corner at Night Owl Reviews! 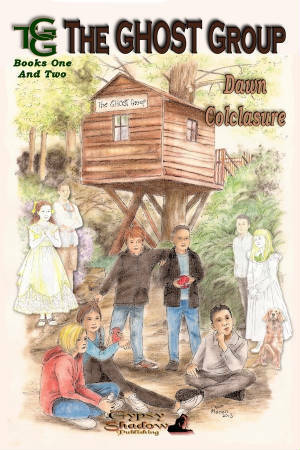 After her mother dies, 9-year-old Anya must travel to the woods to live with her father. But Anya is very sad and misses her mother. Then one evening, she receives a very special gift from a wolf. 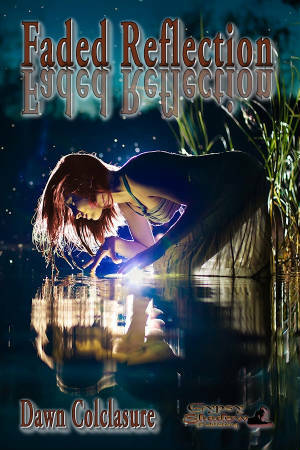 Can Anya learn to listen to the whispers of her heart and heal from her grief? Have you been abducted? After reading this book you will know for sure. Along with an extensive list of indicators, learn just who these aliens really are and what they want from us. You will be quite surprised! Read terrifying true-life accounts from folks in a variety of walks in life who in many cases are still being abducted. You will also learn what services are available to help you cope with this frightening and unwanted covert activity in your life. There’s something different about Sarah Town. 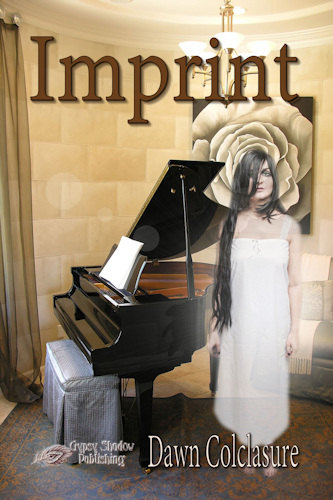 It’s brimming with ghosts—and some of those ghosts need help! That’s where the GHOST Group comes in—the Ghost Helpers of Sarah Town. The GHOST Group is made up of five 11-year-old team members: Jesse, Jenny, Ryan, Trent, and Cassie. They have fought in wars and they have fought on the frontlines. They are the soldiers who stepped up and risked it all to fight for our country. 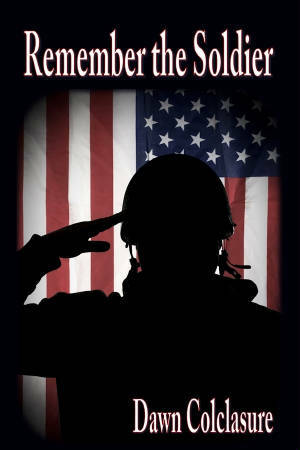 Remember the Soldier is a collection of poems honoring the men and women in uniform who have left behind their homes and families to bravely defend our country, as well as the veterans who served. 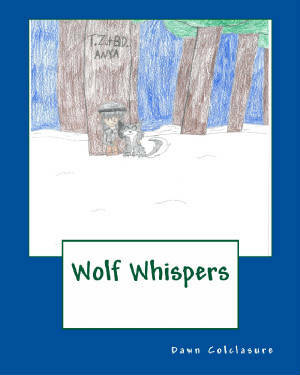 The Ghost of the Irish Setter is a “ghost dog” story where team member Jesse must come to terms with losing his dog, Lolly, after she ran away. 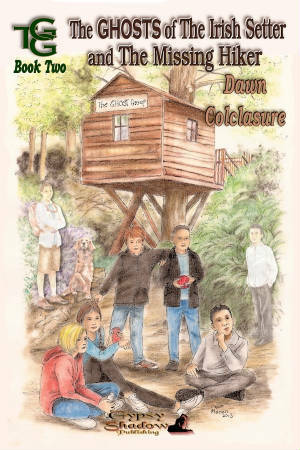 A ghost dog that is an Irish setter seeks Jesse’s help, but when the rest of the GHOST Group join the case, it becomes a matter of life or death after Cassie and Trent are kidnapped! Can the GHOST Group help the ghost dog? And can Jesse find out what really happened to Lolly? In The Ghost of the Missing Hiker, a day of April Fool’s hijinks turns into another mystery for the GHOST Group. Meanwhile, the group's helper ghost, Adam, has some bad news for the team, and Jenny realizes she must accept her special gift and learn how to use it so she can help other ghosts in Sarah Town. To many, the month of April is known as National Poetry Month. But April also brings Earth Day, National DNA Day and the ever-dreaded Tax Day! 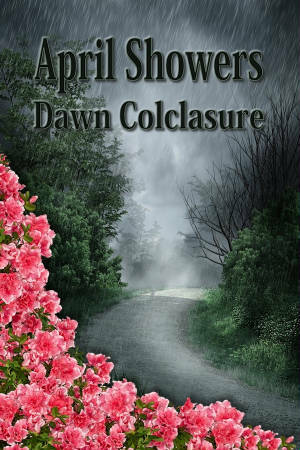 April Showers was written during National Poetry Month of 2013, in which one poet wrote at least one poem a day that captured everything she read, saw and experienced in verse, as well as celebrating April's special days. Being a deaf parent isn’t just about not being able to hear anything—it’s more. From limited access to information in the medical establishments to daily challenges in dealing with discrimination and communication hurdles, the world of deaf parenting is one fraught with trials, fears and tribulations that no other parenting experience will offer. But at the same time, there is a light at the end of the tunnel. Deaf parents CAN conquer those trials, they CAN overcome those fears and they CAN work around those tribulations in order to make deaf parenting work. 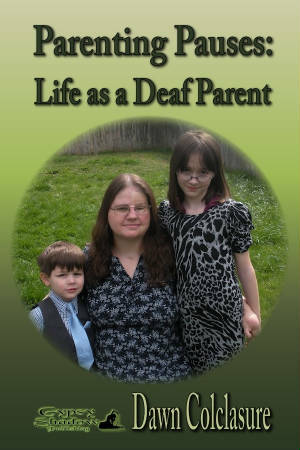 Parenting Pauses will give readers, both deaf and hearing, an inside look into the world of one deaf parent, along with some tips and techniques learned along the way. 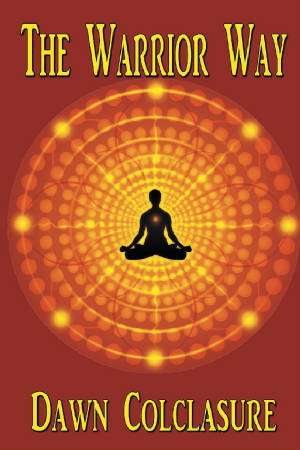 Through a process of meditation and inner reflection, author Dawn Colclasure was inspired to write about 32 messages that came to be defined as "the warrior way." "WOW!!! Very good. Altogether it was very good and thrilling. Couldn't wait to see how it ended." 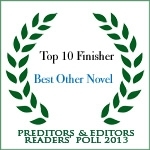 "This is a very good, suspenseful story. I couldn't stop reading once I got started. I have had some dreams that I swear aren't dreams, and this reminded me of those. Always so spooky! Thanks for the roller coaster ride." 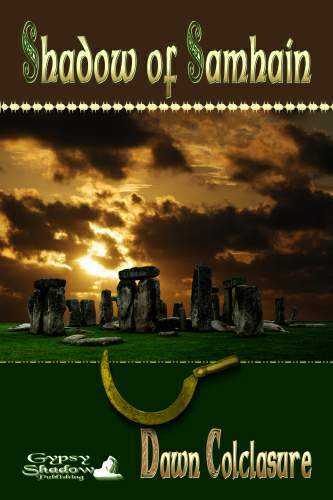 "Anyone who wants a good read wouldn't go wrong starting with this one!" "Burn victim." The term is applied as though someone who has come through the flames will now and always be a "victim." 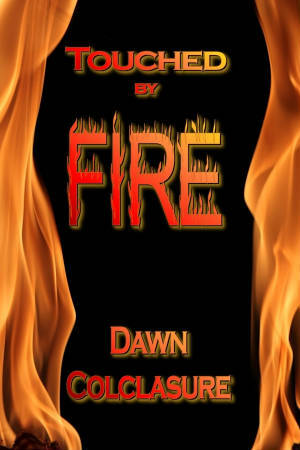 For anyone who has been touched by fire, a transformation takes place and life takes on new meaning and new challenges that will inspire courage, self-acceptance and hope. 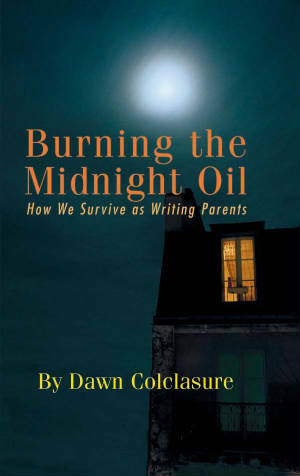 The poems in this book are about how one "burn victim" transformed herself into a "burn survivor." To survive the flames and bear the scars of a fiery ordeal means a life of struggle, seclusion, fear and a desire to be accepted by others. But in the end, one must be able to get past all of this, find the strength to hold their head high and face the world as a burn survivor who can stand strong. Goblins, vampires, Cyclops and a zombie bodyguard! If you enjoy mythology or reading about Mythological creatures, Satyrs Are Cool will show these creatures and others in a new light through verse. 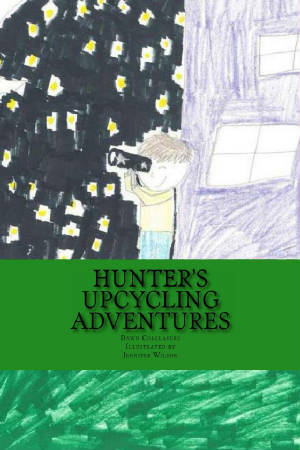 Children's book that introduces recycling and fun things kids can make with upcycling. One day, 5-year-old Hunter becomes bored playing with his toys. When he helps his mother with her recycling chores, he learns about something called "upcycling," where old things are made into new things. So begins a world of fun for Hunter as he goes on a safari, sails on a ship in search of treasure and enjoys stargazing all thanks to the upcycled things he makes. Rusty loves doughnuts, but it seems like his parents won't ever let him have a doughnut! 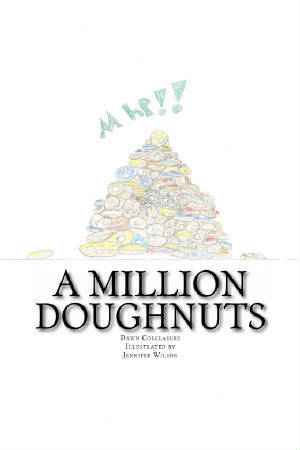 One day he wishes for a million doughnuts, and when that wish comes true, Rusty learns that maybe there is too much of a good thing. 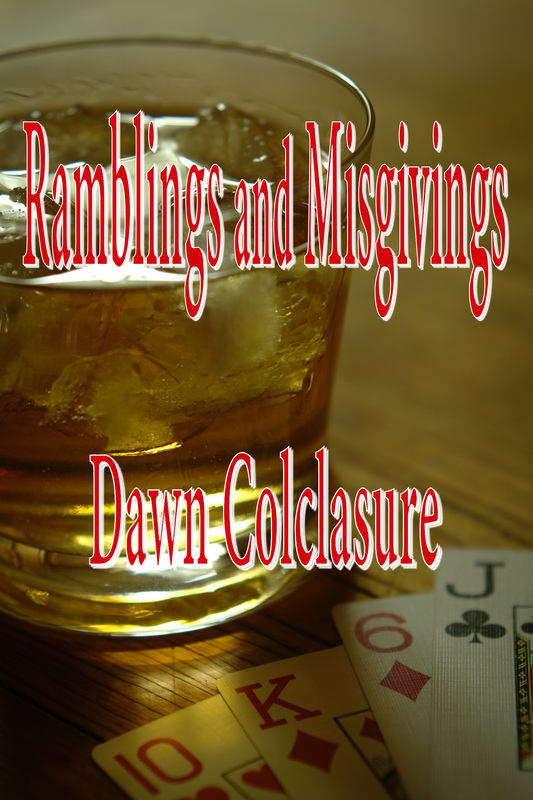 Lynn Johnson’s sister, Patty, visits for Christmas and all seems to go well until memories of an abusive childhood from the sisters’ past threaten the holiday cheer. 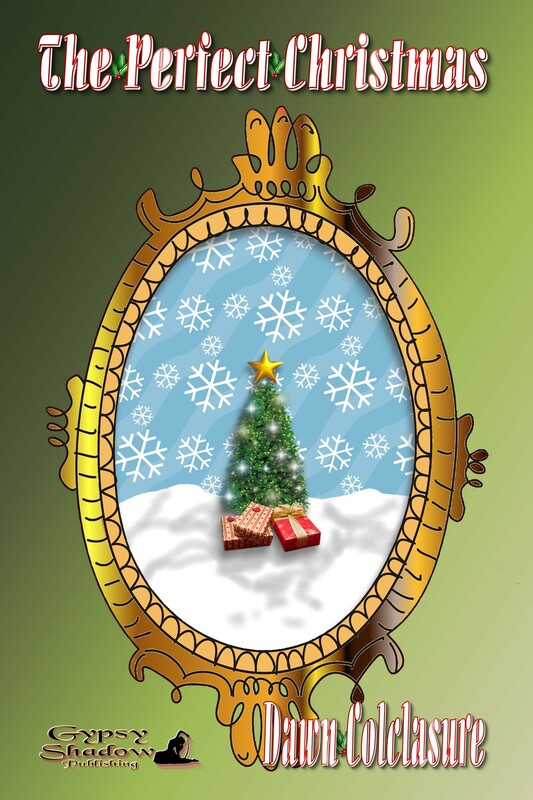 Will the sisters be able to come together in the spirit of the holiday season in order to find the power to forgive and move forward in life? "You have cancer." These are words people dread hearing. But when worse comes to worst, push comes to shove, something wonderful happens. More people come together for support and encouragement. More people participate in "Race for the Cure" events, and more people discover an inner strength within themselves that they never knew they had before. 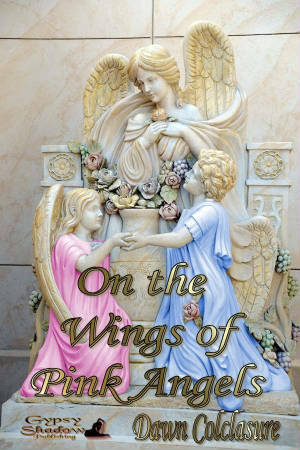 On the Wings of Pink Angels offers a gentle hand through this difficult time, sharing stories that inspire hope, strength, gratitude and courage during a time when someone must fight for his or her life against breast cancer. “Follow that dream.” Take a few moments to read poems meant to seek refuge from the harsh realities of life, from pain, confusion and loneliness. 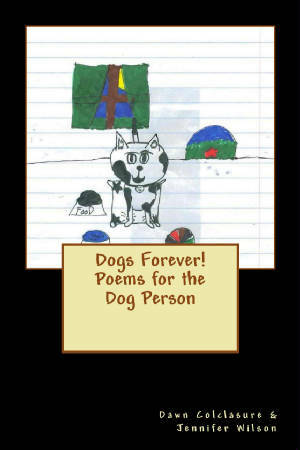 Allow these poems to take you on a journey of wherever your imagination may lead you. The poems in this book share coming-of-age struggles and the fantasies created in order to offer a temporary escape from the real world. One day a gardener living on a tiny island discovers a surprise growing in his garden: A beautiful yellow rose that will never die. Every day he takes care of this perfect rose until men from a big city come to the island and convince the gardener to share the rose with the world. The men become very rich while the yellow rose becomes very weak. The greedy men want to destroy the rose since it can’t make them anymore money. Can the gardener save the special rose that he loves so much? 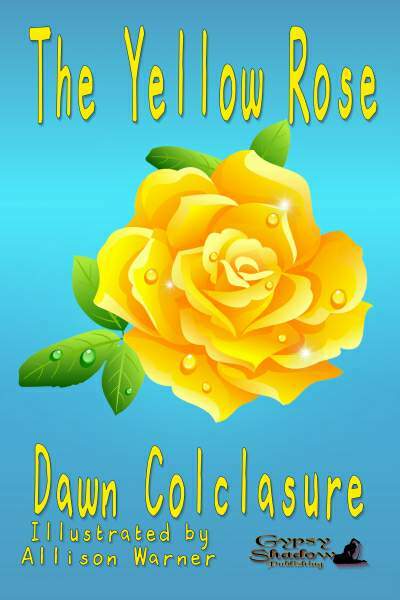 Click on the cover image to check out The Yellow Rose, my first children's book! A e-book of dark and horror poetry. 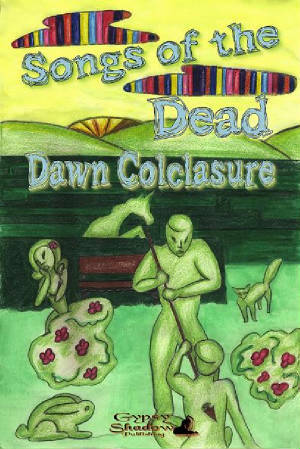 Dawn Colclasure’s dark poetry collection, Songs of the Dead, is not only dark, but passionate. Anger, fear, hurt and betrayal run under the skin of this work and shine through especially bright in poems such as No Turning Back, Deep Within and I am Madness. 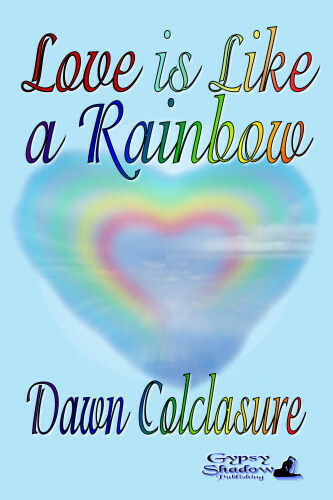 Colclasure examines the dark side of human nature; murder, drug use, violence, insanity and isolation. But, beyond the tales of death and darkness there’s also a message of empowerment; the voice of someone who has taken too much, for too long and has finally had enough. Songs of the Dead is a re-release of the chapbook Topiary Dreams, originally published in 2003 and, with more than twenty-seven new poems, it has more than earned the title “expanded”. 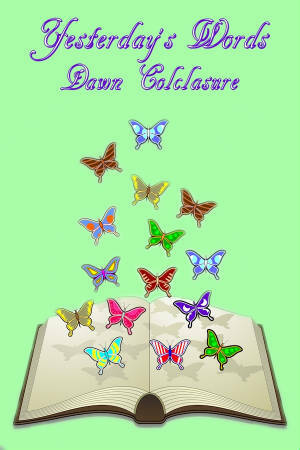 Colclasure has a flair for prose, with lines such as “walk on the moon and hear the stars breathe,” (from Death Shows my Pain) and different poetry forms stop the reader from falling into a sing song rhythm of sameness and help to keep the collection fresh and interesting, page after page. Voted a Top 10 Read of 2010 at MyShelf.com! CHECK OUT THIS NEW, FIRST-OF-ITS-KIND BOOK!!! 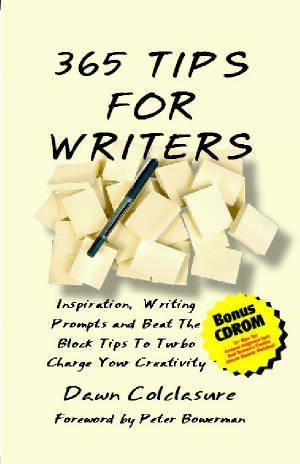 The book that has been called "a little I Ching for writers."